South Ossetia's armed forces will become part of the Russian armed forces but will retain separate units, the self-declared republic's authorities have announced. The plan appears to be a compromise worked out between the de facto leadership in Tskhinvali and their patrons in Moscow. 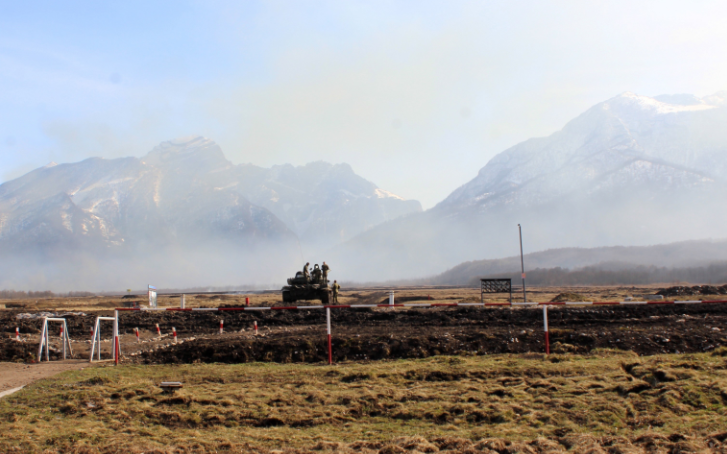 The fate of South Ossetia's modest military (numbering about 800 troops) has been at the center of negotiations on the level of autonomy that the small territory will retain. Most of the world considers South Ossetia to be part of Georgia, but Russia recognized it as an independent state in 2008 and has been cementing its control since then. In 2015, Russian President Vladimir Putin and his de facto South Ossetian counterpart Leonid Tibilov signed an agreement on "alliance and integration" which included a provision calling for "certain units of the armed forces of South Ossetia to enter the structure" of the Russian military. But the specific implementation of that "entering the structure" remained unclear. Controversy broke out last year when some forces in parliament put forth a proposal to dissolve South Ossetia's armed forces and fold them into Russia's. Then some months later the de facto president, Leonid Tibilov, said that wouldn't happen and that South Ossetia would keep control of its armed forces, implying that they wouldn't be folded into Russia's. The new arrangement seems to be a compromise between those two proposals, and was laid out by the de facto defense minister, Ibragim Gassayev, at an event in Tskhinvali on January 12. "There were a lot of difficulties in interpreting the positions and norms of this agreement, delegations from the ministry of defense [of South Ossetia] made multiple visits to the Russian ministry of defense. As a result a compromise was found and a procedure for intragovernmental coordination of the agreement will be signed," Gassayev said, according to an account in South Ossetia's official news agency. Gassayev said that after the signing of the agreement the Russian side will "recognize mandatory military service in the armed forces of South Ossetia and, as a result, will recognize our military billets," the official account said. That seems to refer to the fact that South Ossetian conscripts will serve in South Ossetian units, even if they're part of the larger Russian structure. "We succeeded in maintaining the quantity of the South Ossetian armed forces, and all changes in the staff-organization structure after the signing of the agreement will be carried out by us. And so, the ministry of defense will maintain military units. This is our firm position," Gassayev continued. One of the issues seemed to be getting South Ossetian officers to enter the Russian service at the same rank they had earned in their own armed forces. "We will not allow our soldiers, sergeants, and officers with military experience, war wounds, state awards and significant lengths of service to be put at the same level as an 18-year-old conscript in the Russian army," Gassayev said. "We respect our soldiers and we will continue to try to recognize their service." So, it seems that the South Ossetian defense ministry will still play some role, though it's not clear how great. (It's worth noting that a number of South Ossetia's senior security officials are in fact seconded from Russia, meaning that even nominal control of local security structures may not mean much.) And the fact that it's considered a coup for a decorated war veteran to not enter service at the same level as an 18-year-old Russian private suggests that there wasn't much for the South Ossetian side to brag about. This spring, South Ossetia will hold a referendum on whether to change its name. The prospects for a referendum on fully integrating into Russia are less clear -- Tibilov announced last year that one would be held in 2017, but later said it would be postponed indefinitely.